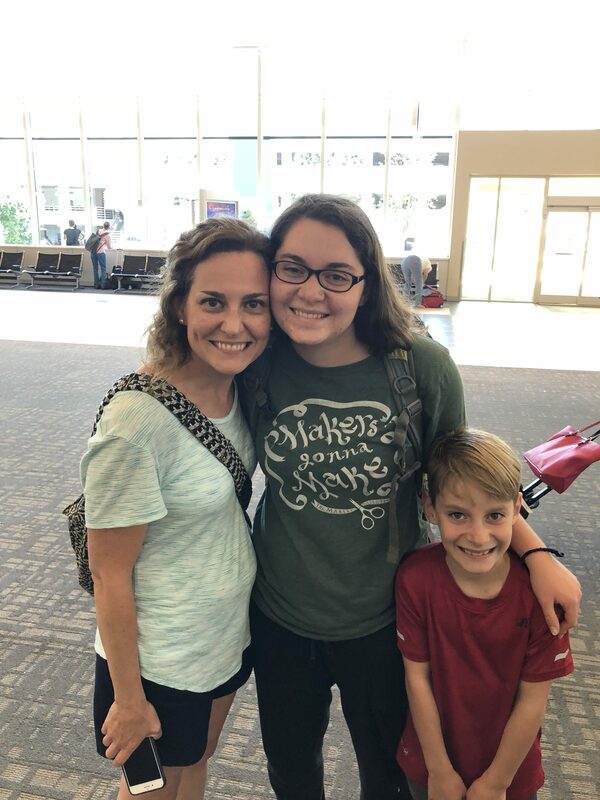 After nearly a year… my daughter, Emily, is FINALLY home!!! During the Spring of 2017, Emily was a typical high school graduate as she made her plans to attend a college in our great state of South Carolina. But as the college deadlines approached, she was wasn’t feeling peace about the whole college thing. So she looked up an organization she had worked with when she was 12 years old…. only to find that they offered a 9 month gap-year program (IncaLink.org). She came to me with tempered excitement with the idea and I knew that my plans to keep her near were fleeting. She quickly shifted gears, raised financial support (miraculously), and packed herself up! So in August 2017 I hugged my sweet girl goodbye. I was so sad to see her go but I knew she was exactly where God wanted her to be, so there was great comfort in that. The holidays were hard without her but her good reports and smiling face on the other end of the screen kept us going. In December she surprised us with her decision to extend her trip to over the summer. By then I had made it almost half way so I knew I’d make a it a few extra weeks longer. But it’s a good thing I didn’t know that on the front end! So in total, she has spent the last 11 months bouncing around many small villages, big cities, coastal towns, and jungle camps in the countries of Peru, Ecuador and Colombia with 7 girls her age and 2 leaders. 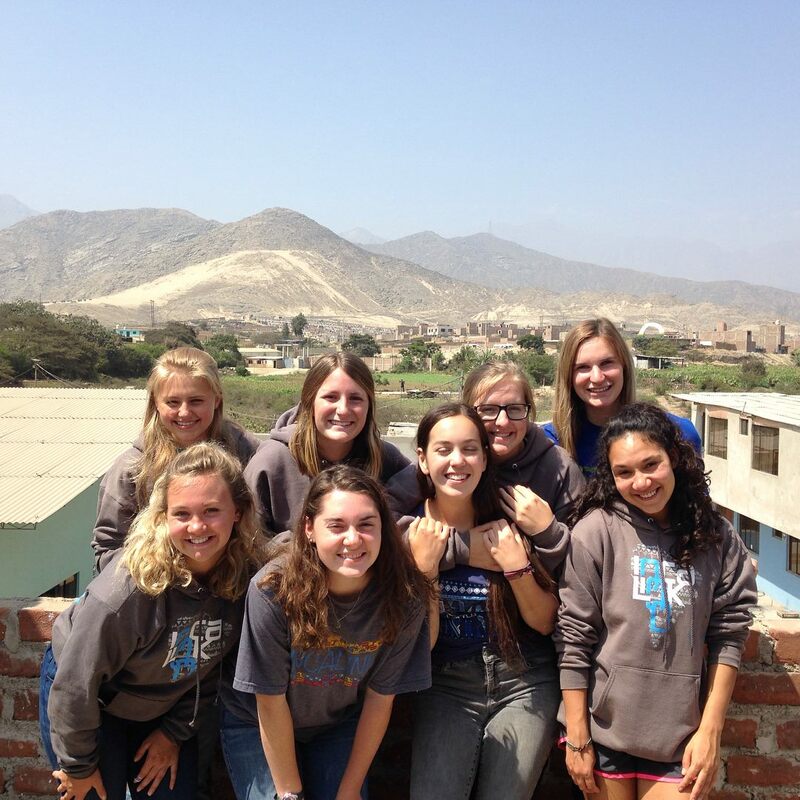 Emily with her teammates in Peru. She is pictured in the middle with her hands on her knees. She spent the majority of her time with orphans and youth in established local day cares and schools. However every day looked different. She had to learn how to be super flexible… some days she didn’t know where they were going or what they’d be asked to do until they got there! She also cleaned, painted, taught English, lead Bible studies, cooked, lead short term mission teams, worked on construction projects, organized school projects and more… basically whatever anyone needed, her team did it. She learned a lot about working with a team and with various leaders, which was at times, super challenging. However, she developed deep friendships that I’m sure, will last a lifetime. Communication this last year has been spotty at best between us due to her ever changing locations and internet connections, so I too learned patience, flexibility and how to love from afar. But for now, she’s eating home cooked meals, taking long hot showers and giving lots of hugs to old friends and family. She leaves for college in the city of Chicago in one month but I will enjoy her while I have her! What a wonderful experience for Emily that will last her a lifetime. Everything that occurred on her voyage abroad will pay her back in dividends that we can only imagine. A wonderful story. Her faith will have grown by leaps and bounds during a time in a foreign land, a sort of Israelites in the desert mode if I may be so bold to assume. May the Lord continue to direct and guide her. Her successful time abroad is testament to how well you have raised her. Kudos to daughter and mother. Enjoyed hearing your story. What is taking her to the Windy City? God’s blessings on her and you. She’ll be attending school there! Thanks Cindy! I am so happy for you. I can remember when she was born and when you moved. Thanks for sharing a wonderful journey with all of us. Thank God for you and that you are home safe and sound! SOMEDAY I want to hear ALL ABOUT IT (IN PERSON). Sleep, take long showers, eat good meals, enjoy family and friends and don’t forget the OLD people. Love you ALL! Thanks Vern! She can’t wait to see you again! Love you too!